The first of the very successful DB4/5/6 line-up, featuring elegant coachwork designed by Touring of Milan, Italy. The handmade, aluminum bodywork panels were mounted on a steel tube frame, using the Superleggera (meaning: super light) method of construction. All round disc brakes fitted, made first by Dunlop and later on by Girling. 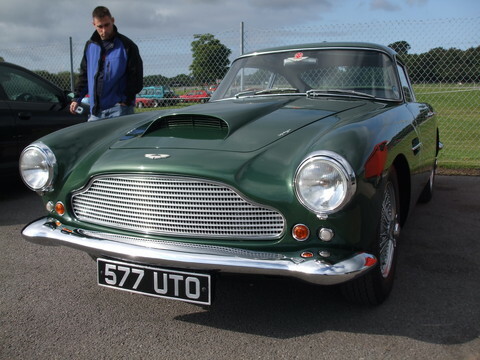 There were five series of the DB4, each series introduced changes and improvements to the original series one cars. Early cars have a mesh grille and simpler bumper design. 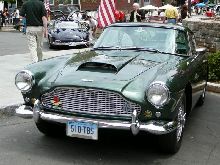 Later cars are longer and consequently heavier than early cars, some late series five cars had DB5 style headlamp covers. All DB4s were powered by a new six cylinder, all aluminum, 3670cc engine designed by Tadek Mereck, developing around 240bhp. The DB4 offered excellent performance for the time, 140mph top speed and 0-60 in 8.5 seconds. 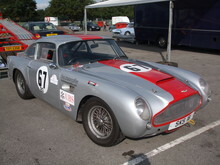 Overdrive transmission on most cars, the gearbox was produced by Astons' owner, David Brown. A Vantage engine was also available, offering even higher power outputs. 8' 2" 4' 6" 4' 5" 14' 9" 5' 6" 0 (25) 0' 0"